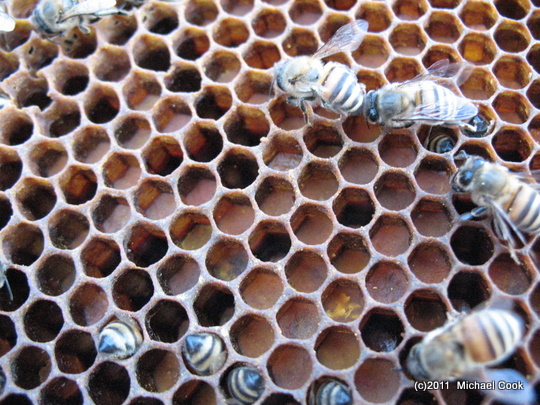 When I had a beekeeping friend inspect my hive early this summer, she said that the hive was way too small and not building up properly, and was likely not going to make it through the winter. I requeened in September, and I fed and hoped. The hive dwindled down in numbers, but I didn’t realize they had gotten so low on stores, until they started dying off. Within a couple of days, the hive failed and the bees were almost all dead, of starvation and cold. 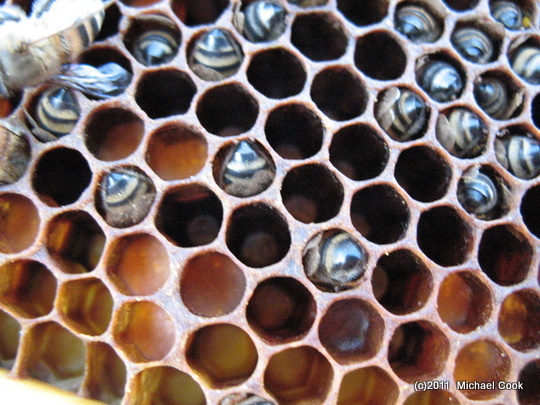 Some of the bees were head-down in empty cells. 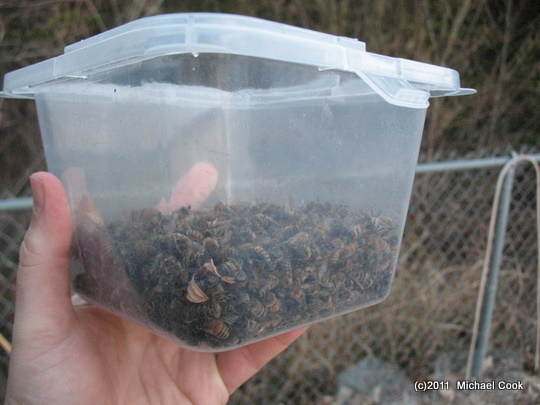 These look like they’re going about their bee business… but they froze in place. This is all the bees that were left in the hive. There was a pile scattered on the ground in front of the hive as well. In the interest of finding at least some silver lining, this means that the hive can be used again; there wasn’t any sign of disease or poison. It doesn’t help much on making me feel like less of a bad person, though. I do want to try again in the spring. Don’t feel too bad; starvation can happen even with the best of preparation! Sometimes it’s just a bad year for the bees. Plus it’s tough when you just don’t have enough bees in your hive leading into winter. I had that same problem my first year. Try again this spring and I bet you’ll have a better year! You did your best but sometimes nature takes its course. Chickens Don’t Like the Snow Presenting: Rawnell!